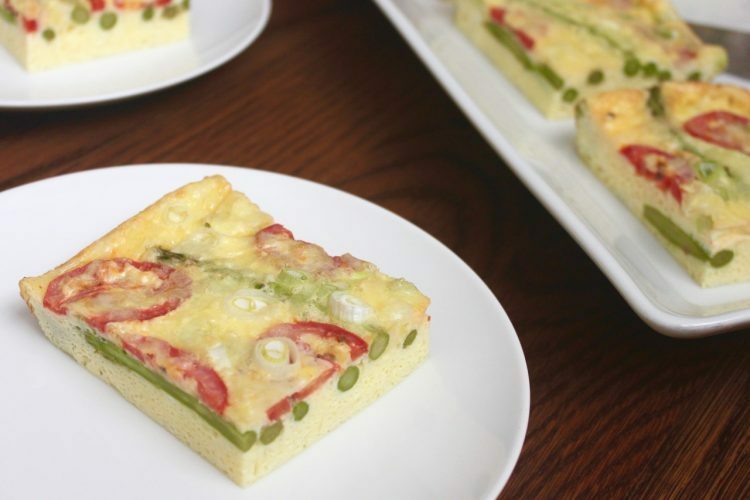 This basic frittata recipe can be customized with any vegetables you happen to have on hand, though it is especially delicious with asparagus, tomatoes, and a sprinkling of green onions. 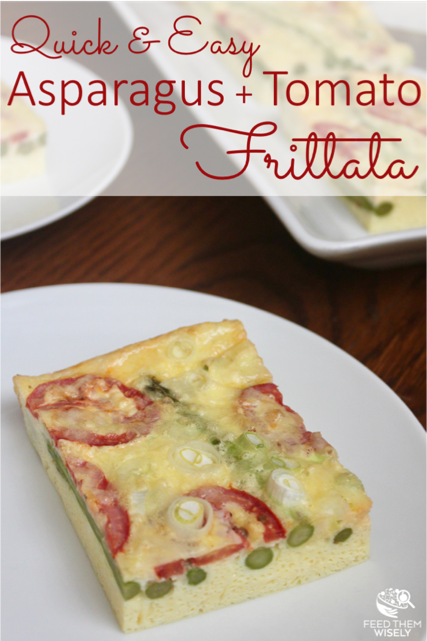 Frittatas are an easy make-ahead meal! I try to make at least one frittata each weekend. It is a delicious brunch and the leftovers make for quick and filling breakfasts later in the week. Frittatas are also a perfect veggie and protein packed dish for part of your weekly meal prep. Leftover frittata can be quickly reheated and is delicious served with a side salad. 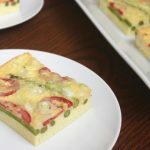 A delicious and simple spring vegetable frittata recipe that is perfect for brunch or a quick dinner. *Note: I choose to purchase organic tomatoes. Read more on pesticides and produce. This is a great basic recipe. Frittatas are great as breakfast, lunch, or dinner, which is so awesome. 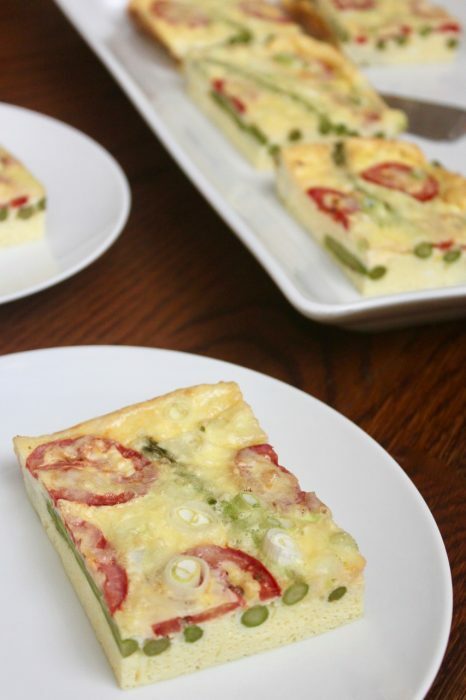 Love the asparagus in this frittata. Frittatas are one of my favorite meatless easy meals – and I love to use any veggies in the fridge (or from the garden) that need to be used up. This recipe can be easily adapted for a veggie on hand. The more the better!